Multaka in Arabic translates in English to 'meeting point'. 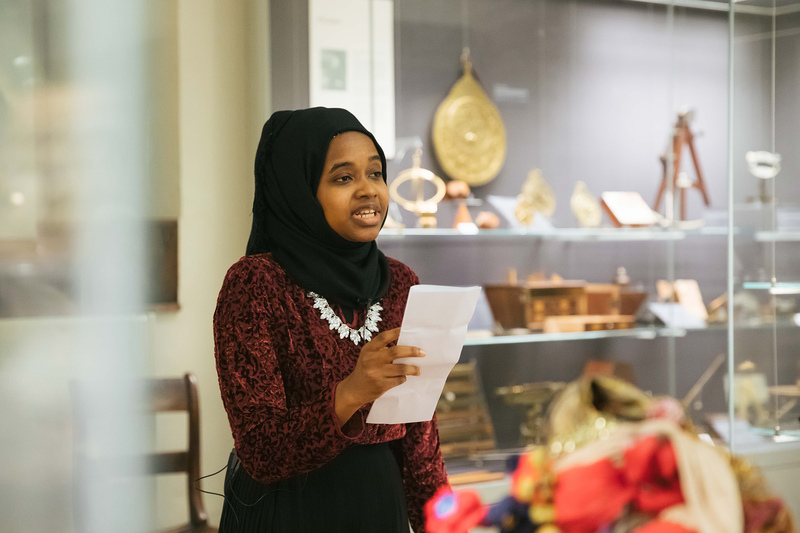 Multaka-Oxford aims to create volunteer opportunities and to use museums and collections as a ‘meeting point’ for bringing people together. 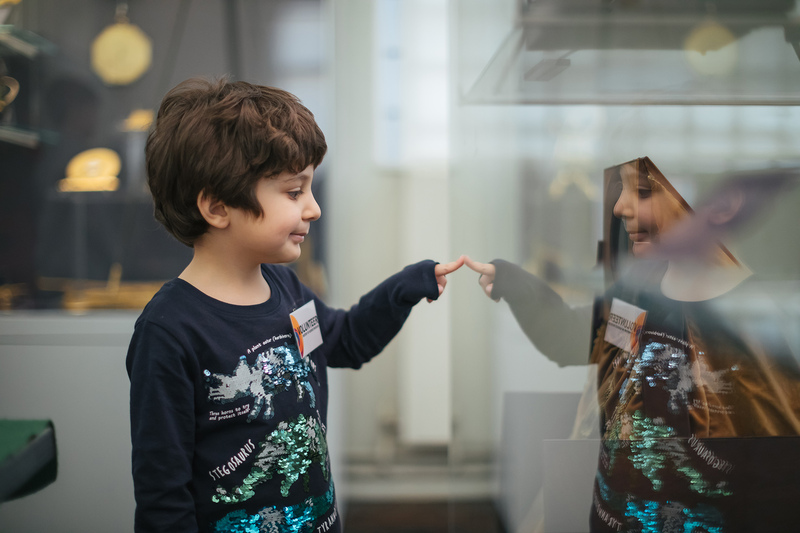 The Esmée Fairbairn Collections Fund, run by the Museums Association, has funded the project until September 2019. 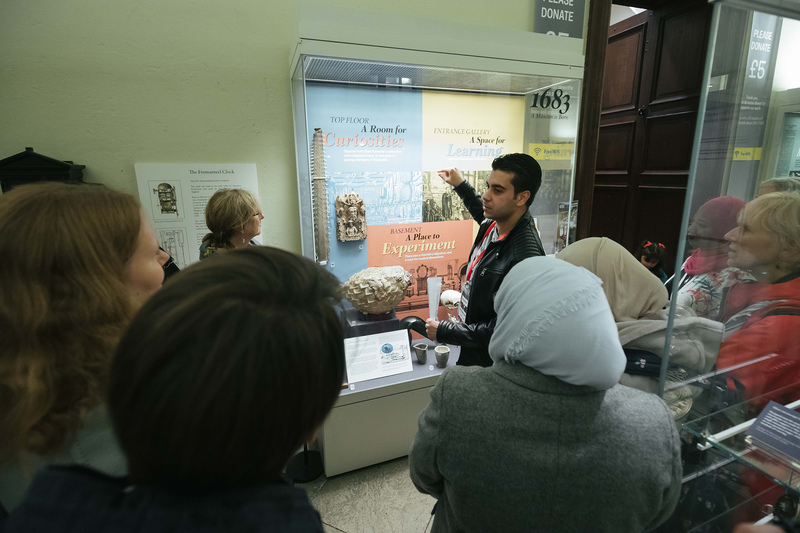 Multaka-Oxford is being delivered jointly by the Pitt Rivers Museum and the History of Science Museum. 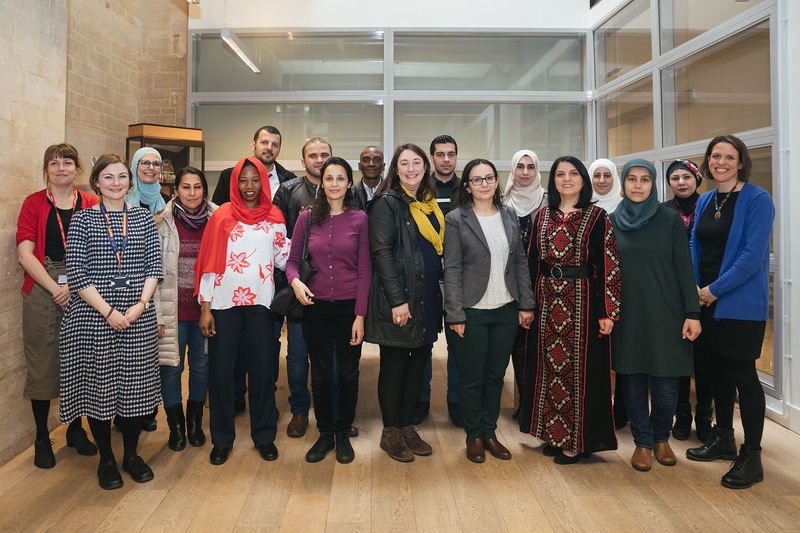 It's run in collaboration with the local organisations Asylum Welcome, Connection Support Syrian Vulnerable Persons Relocation Scheme and Refugee Resource. Nuha Abdo from Syrian Sisters is the Community Ambassador. Volunteers are at the centre of the project. 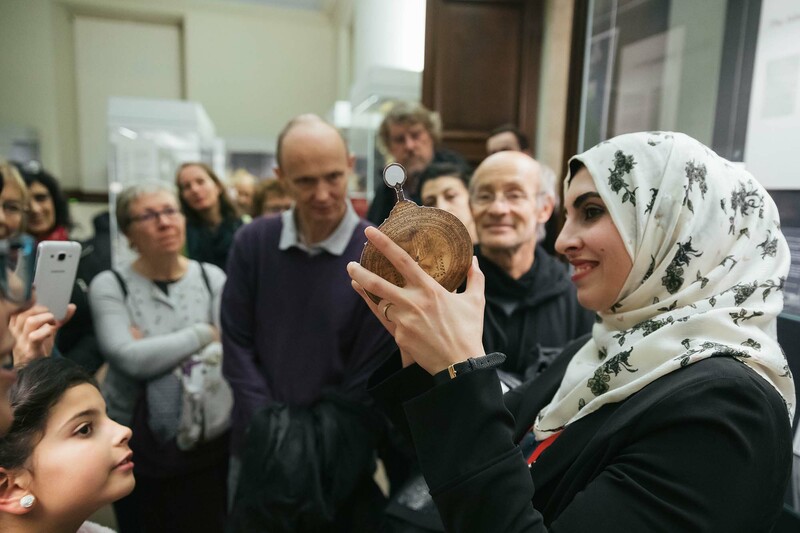 The Multaka team of staff and volunteers are working with two collections: the Islamic scientific instruments at the History of Science Museum, and a recent donation from Jenny Balfour Paul of textiles from the Arab World at the Pitt Rivers Museum. 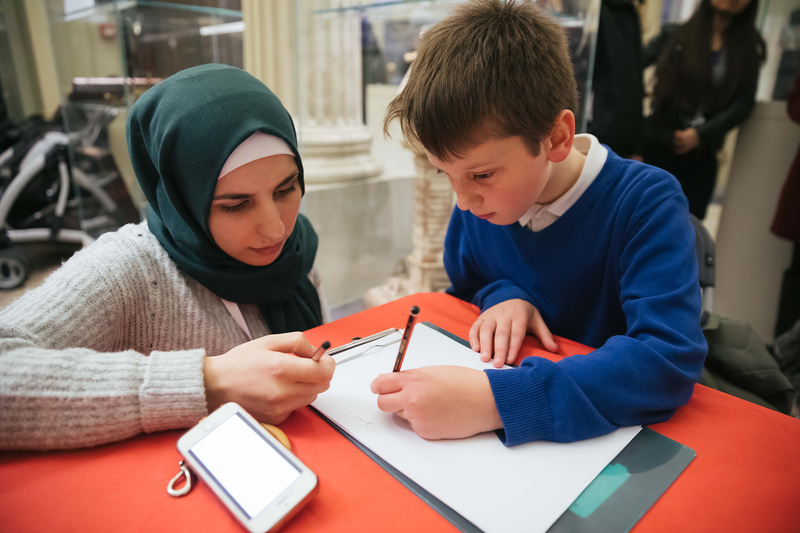 Together they are researching, learning and discovering other perspectives about these collections. 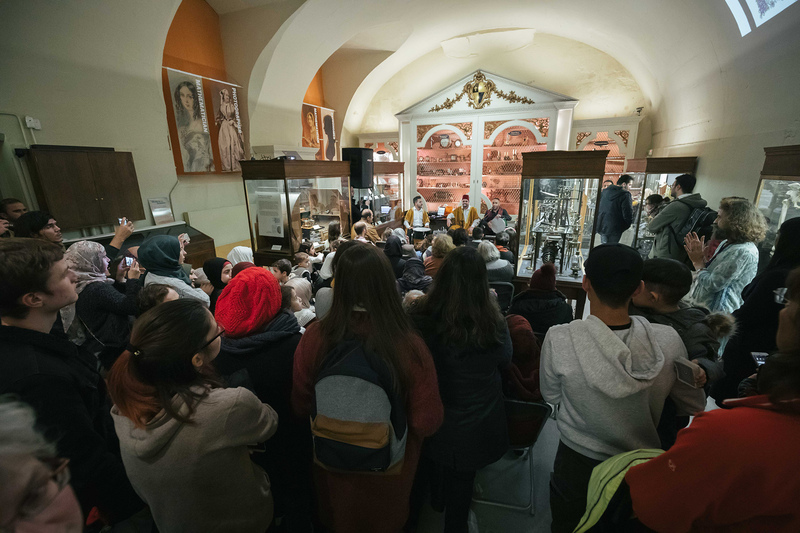 This wealth of knowledge and understanding is being added to the museums’ databases and is being shared with a wider community through multi-lingual events, tours, blogs and displays. 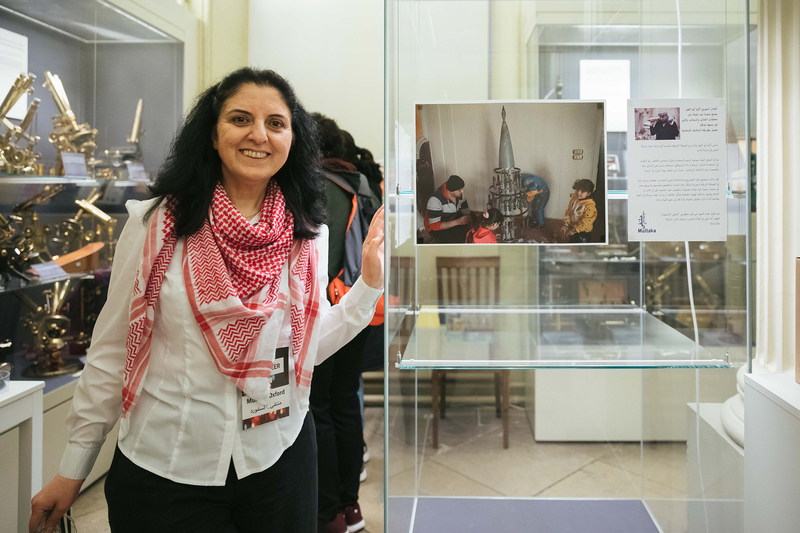 The project is inspired by Multaka: Museums as a meeting point, which is based in Berlin. 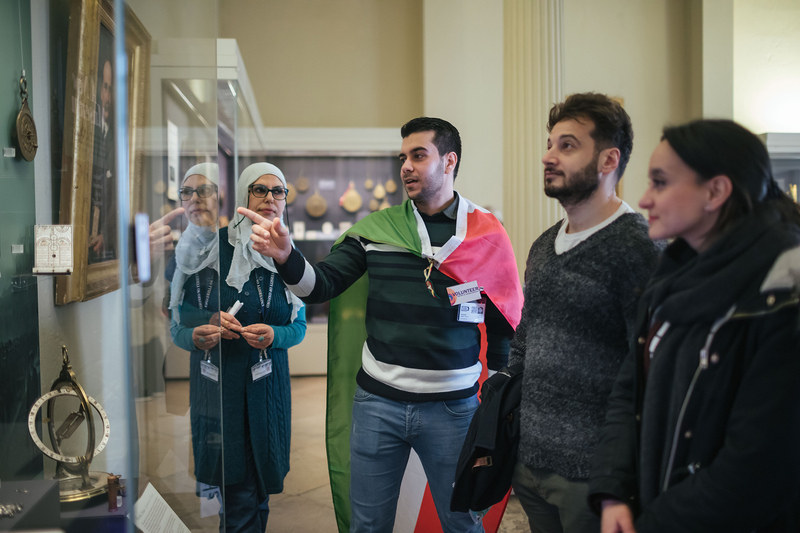 It provides opportunities for individuals to create Arabic tours across four museums in the city. هذا المشروع مستوحى فكرته من مشروع ملتقى متاحف برلين: المتاحف كنقطة التقاء، والتي توفر الفرص للأفراد لإنشاء جولات في المتحف باللغة العربية عبر أربعة متاحف في المدينة. كلمة العربية تعني “نقطة التقاء” واهداف مشروعيأكسفورد وبرلين و هي إنشاء مكان يمكن للأفراد الاجتماع فيه وتبادل خبراتهم ومعرفتهم ومهاراتهم مع بعضهم البعض ومع الموظفين. 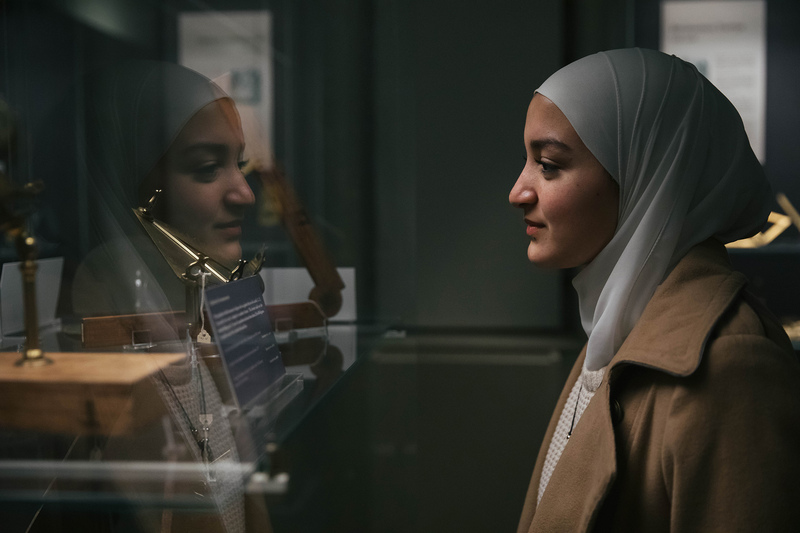 "When I came to the History of Science Museum I found these objects here from Islamic world….I find I was so happy and I feel so pleased when I show people these are from my country, I am so happy." 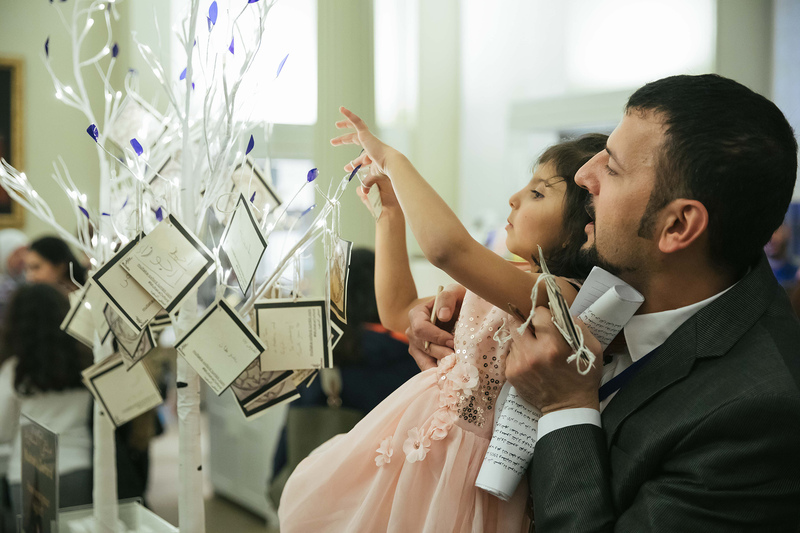 Abdullah, Abi, Ali, Chaitanya, Dhamyaa, Dot, Duncan, Farida, Ghazala, Hadi, Hannah, Hussein, Khalil, Mariam, Mohamed, Mohammad, Navigator, Nawar, Nicola, Niran, Niveen, Nuha, Rachel, Rana, Rawan, Richard, Roushin, Safaa, Safaa, Sarah, Shaimaa, Suheer, Thabo, Tammam and Waed. The project has gained coverage in the local, national and international press. Some of the coverage can be seen on the Gardens, Libraries & Museums website. 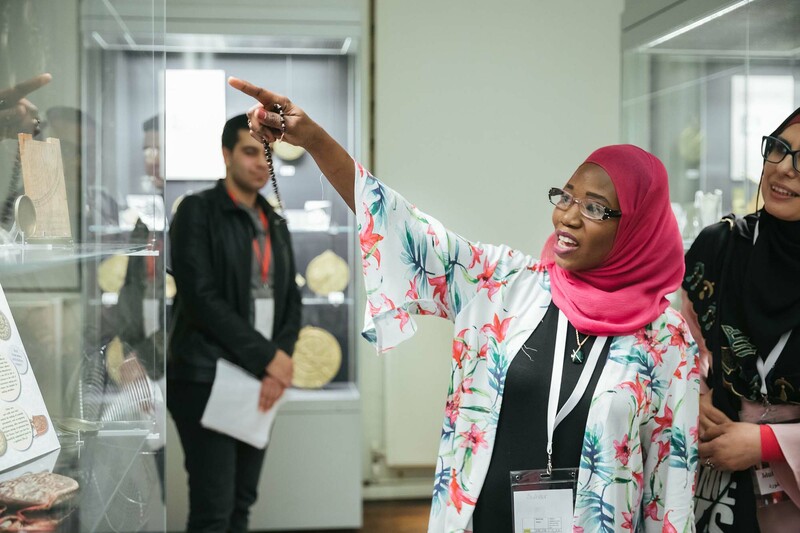 Researching and sharing knowledge about museum collections is an essential element of Multaka-Oxford. At the History of Science Museum Multaka-Oxford is looking at the Islamic scientific instruments. 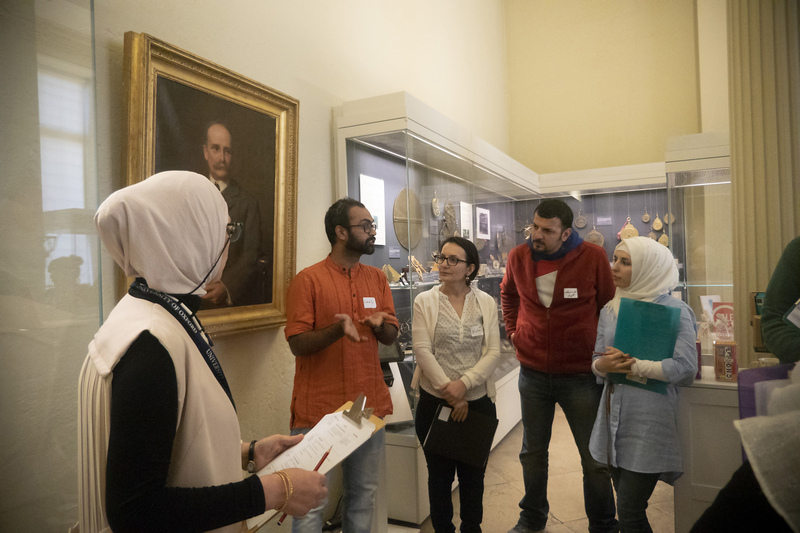 Multaka volunteers have incredible knowledge, understanding and connections to objects in the collections. "This is the third time in the drawing of a part of the astrolabe called the rete. It has been hard work and enjoyable at the same time, especially with these tiny letters and the small details I wrote." I have chosen this object because it is from my country Egypt and I would like to learn more about the object’s story via researching and reading. Horizontal Pin-Gnomon Sundial and Qibla Indicator, 1700s? The object whilst simple in comparison to the far more complex astrolabes still conveys an impression of a society advanced in time-keeping, astronomy and mathematical sciences. I was impressed by it because it was big and its Arabic writing was clear and it contained the zodiac, including my sign of Scorpio. The majority of volunteers come to the project through community partners. 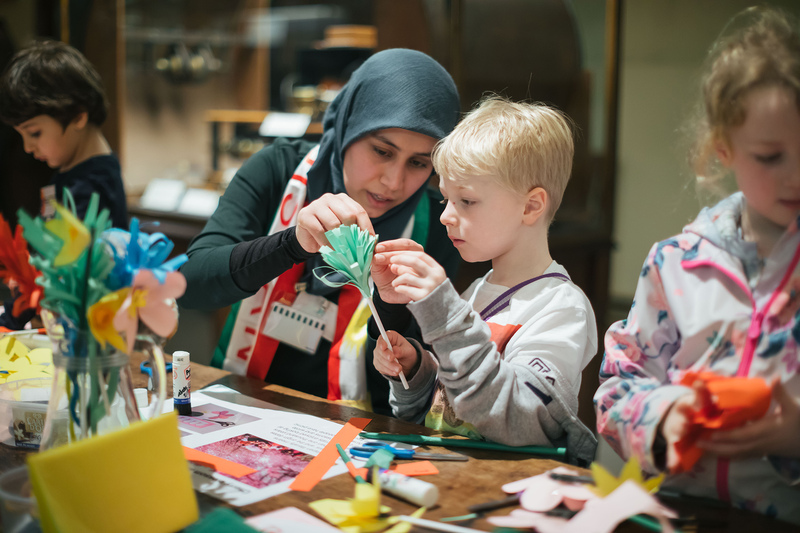 There are also volunteer roles advertised through the Joint Museums Volunteer Service. If you would like to volunteer you can register on the Gardens, Libraries and Museums website. 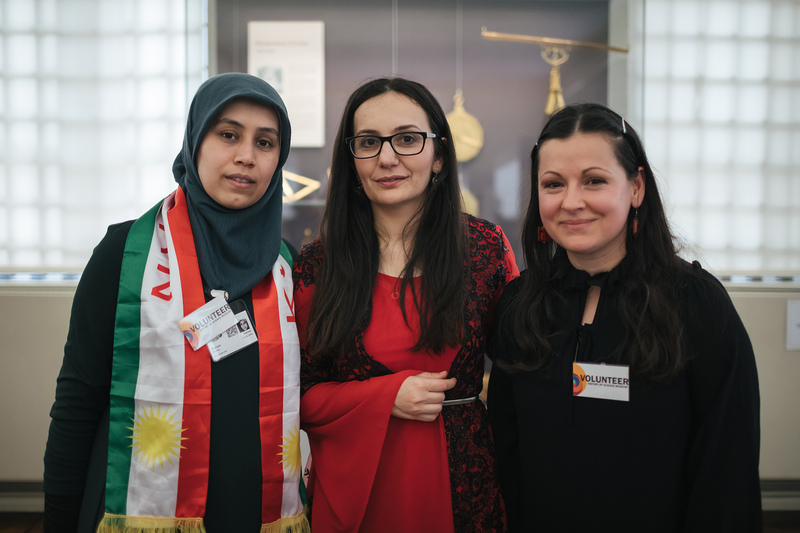 "I am learning here about my culture, in Syria I didn’t learn about it like this. I learn and it makes me feel very proud. I am pleased the museum has these things."